Let me start with this, Groww is an investment platform that allows users to invest in Mutual Funds through a mobile app or web platform and empower a new generation of investors in India by building their financial future at a very young age. We all know that digital transactions are growing in India in every segment and the next generation (millennials) like to spend most of their time on a smartphone. Before I go into details I would like to share that in this post I’m not going to tell you what millennials do or how they spend their time. I’m just focusing on a simple problem of millennials – where to invest, how to invest and how much to invest in mutual funds. The millennials do not have specific goals when it comes to financial investments and their key criteria are high returns, short-term lock-ins and complete transparency. To make things simple for the first-time investor there is an app or web platform called Groww. Groww is a mutual fund investment platform that helps the first-time investor to get started with investing in 2 minutes and the entire process is paperless and seamless including KYC. Groww helps the investor to get better returns when compared with Fixed Deposit returns or savings account. As a first time investor, you can invest in liquid funds or ultra-short term debt funds for short-term or invest in equity funds for long term. All mutual funds are available in one investment app/platform and the investor can invest in balanced funds, gold funds, sector funds, tax-saving funds, or international funds whatever they like and later on they can sell off their investments anytime without any issues or hassle and all the money transactions will come directly to your bank account. Groww is touted as one of fastest growing financial investment platform in India and they have taken a new era social approach where they are building communities using WhatsApp groups to educate investors and discuss financial investments in a secure, transparent environment in India. Apart from this, the platform offers zero-commission products and there is no need to open a demat account for investing. The first time investor should be aware of that there are two types of mutual funds plans available – Direct and Regular. The Regular Plan works on the commission model where the commission will be paid to the distributors and results in low returns whereas the Direct Plan result in higher returns and there is no commission. As mentioned above, the whole process is paperless and one can buy any Direct Plan within minutes and you will be happy to know that there are no charges for investing in Direct Plans through Groww. Even those who have already invested in the Regular plans through any agent or platform, can move their investments to Direct plans and can start saving on the commissions, right way. 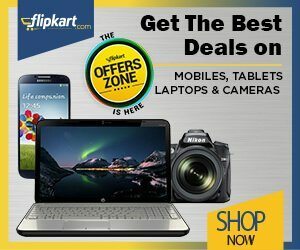 For your information, Groww started its operation back in April 2017 and the company is founded/started by four ex-Flipkart employees Lalit Keshre, Harsh Jain, Neeraj Jain and Ishan Bansal, all of them have rich experience in engineering, product management, finance(s), e-commerce and business development. According to founders, the vision of the start-up is that Groww will become a one-stop solution for anything related to investment for millennials in India and offers a seamless and transparent approach to investing via a web platform and an Android app. The company is located in Bengaluru and leverages technology and data science to build and scale communities that not only advise each other through their own practical experience to make investing simpler to understand but also offer a seamless and transparent approach to investing via a web platform, Android App and iOS. For your information, the founders have spent a lot of time in understanding the market and identifying the real pain points of users and that’s where Groww as a platform will simplify investing for the first time user in mutual funds. They also offer services that educate and help new investors with mutual funds. You will be amazed to hear that Groww as an investment platform has built unique communities that run on the collaborative wisdom of, for and by the people. The communities are moderated by Groww experts and they answer all the questions and help investors to make the right decisions around the investment opportunities. Groww offers direct access to mutual funds from all 34 leading fund houses, based on the recommendations from the experts and according to the needs. The company is also looking to launch more financial products and value-added services in the future. In simple words, Groww is similar to an e-commerce platform and known as Amazon of financial services. After having a plethora of information about Groww app or web platform and their background. It’s time to get started with Groww. Before we get started with installing and getting started with the app you should know that the app is well built and designed particularly keeping beginners in mind, those who’ve never ever made any mutual fund investments. By using Groww app, one would be able to invest in mutual funds with ease and the app contains a list of expert-recommended mutual funds where you can get started by investing. Additionally, you can also see the historical performance of the mutual fund by viewing the beautifully designed charts. The app also displays the latest finance news, insights and from the dashboard, you can track your returns, annualized returns, check details of holdings and mutual fund NAV. You can calculate returns by using the mutual fund SIP calculator, provided in the app. Step 1: Download the “Groww App” from Google Play Store and install it by just tapping on the “Groww App” icon. Step 2: Now the app installed on your device and as soon as you tap on “Groww App” it will ask you to register on the app and Sign-in if you already have an account. Step 3: This is a one time process where you have to share all your details, basically a KYC process. Step 4: Now you have shared all the details, it’s time to get started with investing. All you have to do is select any mutual fund and verify your KYC. Once all done, you can start SIP or one-time lump-sum investment. You can start your investing journey in mutual funds by investing as low as Rs. 500 and later on you can increase the investment if you like. The app also gives you the option to invest in all expert-recommended, well-performing mutual funds and you can also invest in Tax Saving mutual funds or ELSS mutual funds. Investing in Tax Saving mutual funds under section 80C lets you get tax exemption and the total exempt limit is 1.5 Lakhs, you can find the amount you should invest through tax filing services like ClearTax or H&R Block. The app gives you a clear view & performance reports of your running investments. In addition to this, to get a better estimate of your returns you can use the calculator provided in the app. Everything is okay but what about safety and security? Groww uses the latest security standards to keep your details safe and they use BSE (Bombay Stock Exchange) Star platform for transactions and supports all RTAs; CAMS, Karvy, Sundaram and Franklin. Additionally, you can check your units on mutual fund apps in India like Mycams, Camsonline and Karvy. You can also switch your funds to Groww without any charges. As mentioned above the app is for newbies and one can easily get started with investing in mutual funds. The app lets you get started with as low as Rs. 500 thereby making it very low risk and minimizing the loss. For a people like me, the app leaves no excuse to invest in a mutual fund. 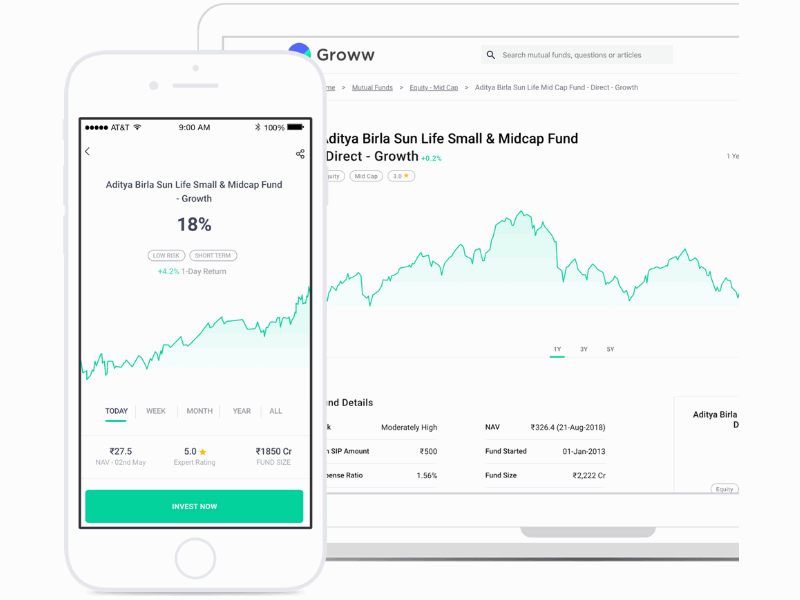 Groww is an investment platform that allows users to invest in Mutual Funds through a mobile app or web platform and empower a new generation of investors in India by building their financial future at a very young age.